New moon of March: How early can you see it? 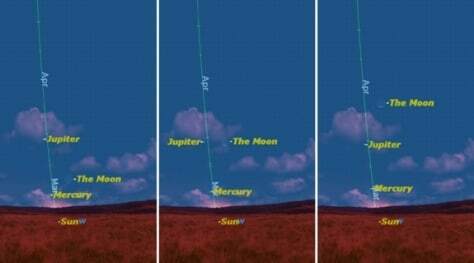 At sunset on March 5,6 and 7, the new moon appears to rise above the horizon relative to planets Mercury and Jupiter. View from Austin, Texas, at local sunset.